It’s important to be mindful about what our children are eating, because we want to keep them safe and healthy. By doing so, we are nourishing them in a nutritious and happy environment. By definition, organic foods cannot be genetically modified or irradiated.They contain less hormones and antibiotics, less synthetic pesticides or fertilisers, and have no sewer sludge. In a time of growth and development this natural approach to eating is key for ‘keeping it real’. Breast milk is what babies need until around six months. From here is a window of opportunity when what you feed your child in addition to breastmilk or formula is important. Exposing your infant early to varying textures, tastes, smells, and the five food groups builds a healthy relationship with food. Organic food is grown and processed according to strict guidelines that regulate factors such as soil quality, animal raising practices, pest and weed control, and the use of additives. For produce to be labeled organic, it must have been grown on soil that has had no prohibited substance applied to it for at least three years prior to harvest. Types of organic produce include fruits and vegetables, dried legumes, grains and honey. Organic produce prohibits the use of synthetically derived pesticides, fungicides, herbicides and other harmful products which may be found in conventional produce. By providing your child with organic produce, you are immediately limiting the potential health risks that they may be exposed to. When it comes to organic meat, animals must be raised in environments that accommodate their natural behaviour. Not only are they not given routine antibiotics and hormones, they are fed organic feed and have unlimited access to pasture. Organic farming raises animals humanely and with respect. It also pays attention to protecting the environment by working with existing ecosystems. It conserves water, soil and energy and preferentially tends to use renewable resources and natural farming cycles. Over the last few decades the number of chemicals added to foods and other products has skyrocketed. The industry adds chemicals and preservatives to make food look more appealing, stay fresh and enhance aroma and texture. Nitrates and nitrites: Used to preserve food and enhance colour, nitrates and nitrites are commonly found in processed foods, especially meats. They can interfere with the thyroid as well as the blood’s ability to deliver oxygen to the body, and can also increase the risk of certain cancers. Artificial food colours: Found in all sorts of food products artificial food colours are most commonly used in foods marketed at children. They have been found to increase symptoms in children who have attention deficit hyperactivity disorder (ADHD) and can trigger allergy symptoms. Pesticides: Used to control insects, rodents, weeds, bacteria, mold and fungus pesticides have been linked to lower IQs, birth defects and developmental delays. Children exposed to pesticides face higher risk of ADHD and cancer. If you’re concerned about chemicals in your child’s diet, make the choice to buy organic. Organic produce in Singapore was once attached to higher price tags and limited availability, but the situation has changed. These days, organic food at affordable prices can be found all over the city. Often, organic sections of supermarkets and online grocery shops sell organic meat and vegetables, along with other products. You’ll be able to find Bellamy’s Organic products listed in supermarkets and online shops, such as Redmart, Shopee and Lazada. 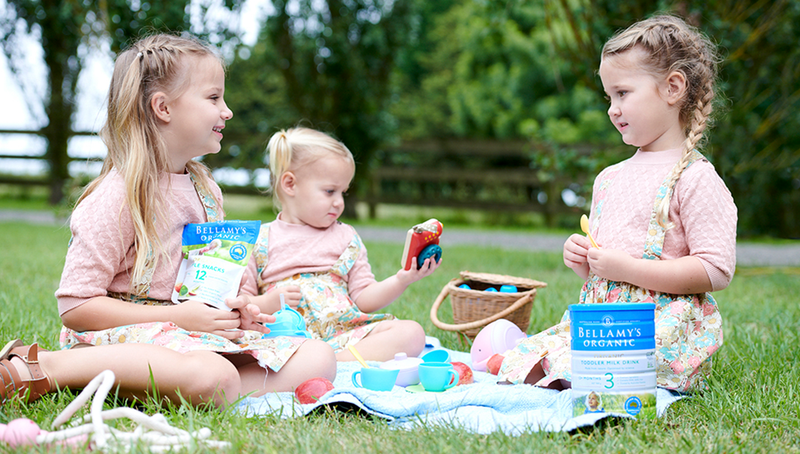 If you are wondering what organic food to buy for your toddler, take a look at our full range of products at Bellamy’s Organic and visit our stockists — we offer infant milk, ready-to-serve baby food, snacks and more. Contact us today to find out more.